Oh my, this stuff smells so good, exactly like Rub Rub Rub! It's also seaweedtastic with Irish Moss and Japanese Nori varieties as well as a whole load of sea salt, topped off with some lemon oil, jasmine and orange blossom. At first, I was a little dubious about how this would work but it was really simple. As I rubbed it over my head, it began lathering up nicely and I found it much easier than normal shampoo as I could really get in there and give my scalp a good scrub! For the ends of my hair, I rub the bar between my hands to work up a lather first, then use this to clean them. The fragrance is incredible, although I wish it lasted longer on my hair as all trace of it had vanished the next morning (I'm a night-time washer). I'm super impressed with how clean it felt though and how easy it was to use. Storing the shampoo bar can be a little tricky as it needs to be kept dry. Lush do sell dedicated tins that are only £2.50, so hardly a stretch but if you're in a pickle or (like me) have yet to buy one, the face mask tubs are the perfect shape and size to store shampoo bars. (I realise this tip is only helpful if you have an empty face mask pot lying around. If you haven't, why not? When you take in 5 empty pots, you get a free face mask). Immediately after rinsing, my hair felt a little drier than it usually does, although it was silky smooth the next day. This may be more down to the conditioner than the shampoo though! 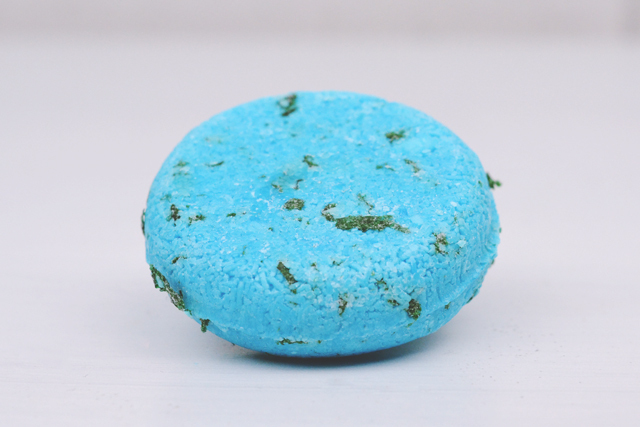 As I said at the beginning of this post, Big is one of my favourite Lush products so I was super excited to try this, especially after I discovered how easy it was to use Seanik. Although the conditioner didn't smell much like Big, it does have many of the same ingredients, such as sea salt, seaweed, lemon juice and lime juice, so I was pretty surprised when it ended up smelling exactly like American Cream. Not a bad thing by any means as I adore that scent! Unlike Seanik, I found Big very difficult to use. As it doesn't lather (as conditioners often don't), it was harder to apply and I found it a bit confusing as to whether it had actually coated my hair or not. Since I have very dry hair, I tend to use a lot of conditioner and this just didn't offer me the coverage, so to speak, that I'm used to. I ended up topping it up with the last of my Veganese. However, as I said above, my hair did feel really soft the next day. How much of this is down to Seanik, how much is Big and how much is Veganese is hard to say though! I won't be buying this again but I imagine it will be really good for someone with greasy or fine hair due to the light application. I love LUSH shampoo nars; Seanik is next on my list to try. I tried one of their conditioner bars last year, it was a green one, can't remember the name, something to do with jungle though, and I had the same problems you did. It was hard to tell how much you'd used, and it was really melty, so I'd get clumps in my hair. 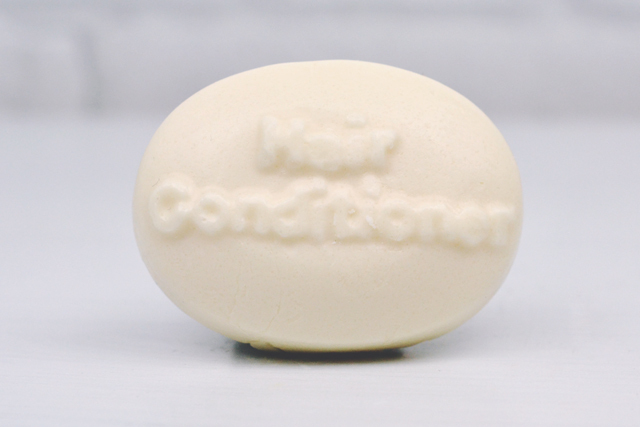 I've heard that the conditioner bars are hard to use and that's why I've avoided them so far. I love my shampoo bar from lush and I really want to get another one and this sounds heavenly! I love the colour. I used one of these when I travelled around Japan and bought the little tin... it was really hard to dry it each time before I put it away before I checked out of hotels and if I put it in the tin wet it would stick to the tin and be impossible to get out! It did make my hair feel really good but it was too much of a hassle drying it! I have got the seanik too I mainly use it when I'm away from home as I have one of the lush tins and it's just super easy to drop into my make up bag for a night or a week away rather than having to cart bottles with me. I liked the smell too but like you say the smell isn't a long lasting one.